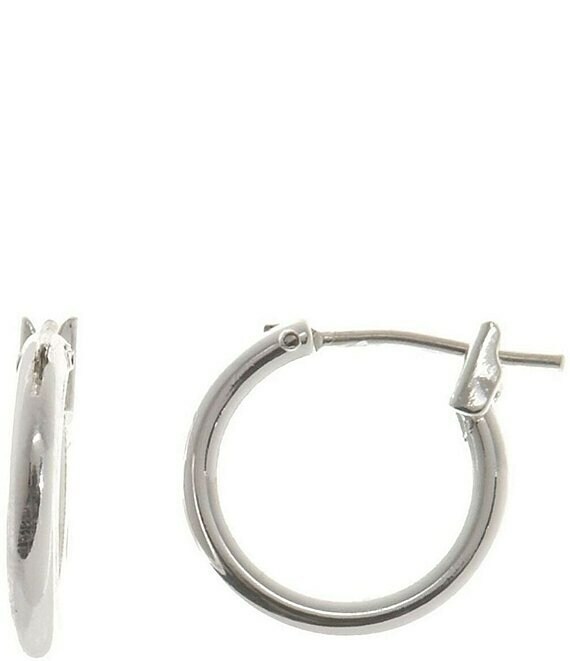 Add a classic to your jewelry collection with these silvertone small hoop earrings. Nickel free for sensitive skin. 0.5" in diameter, with sterling silver leverback closure. Only at Dillard's.